Website testing on desktop and mobile devices with real people in real time. Companies spend significant resources on developing and updating their websites, often with little or no end user input. But how do they know when they have gotten it right? Introducing a new Website Usability Testing service with Opinion Search. A fast, cost-efficient way to test your own, or a competitive website, with your custom target audience(s). Through a series of in-depth interviews, you can watch as your consumers navigate your, or another, website to better understand how they are using it and what problems they are encountering—that is, where are they getting stuck, and importantly, why. Your target respondents are recruited to participate in a one-on-one interview that is structured to replicate a website navigation experience on their desktop or mobile (e.g., tablet, smartphone) device. 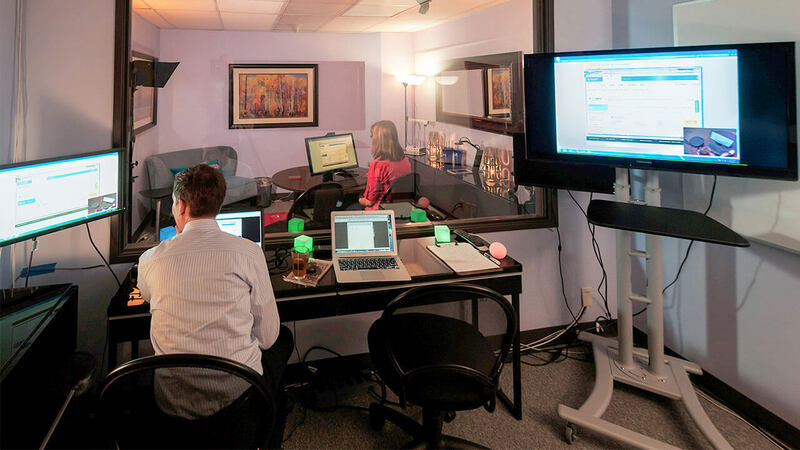 Clients and web developers view the interviews behind a one-way mirror with the desktop or mobile screen being projected on a remote monitor for direct real-time navigation observation. As a moderator leads the respondent through the website navigation testing tasks, a research analyst is viewing and taking notes on the navigation experience. The end result is a detailed report on the website’s strengths, developmental issues, and suggestions for website optimization. Opinion Search handles everything from recruitment, to securing the facility and needed computer and monitoring equipment, to analysis of the key insights, so call today for your custom project quote.